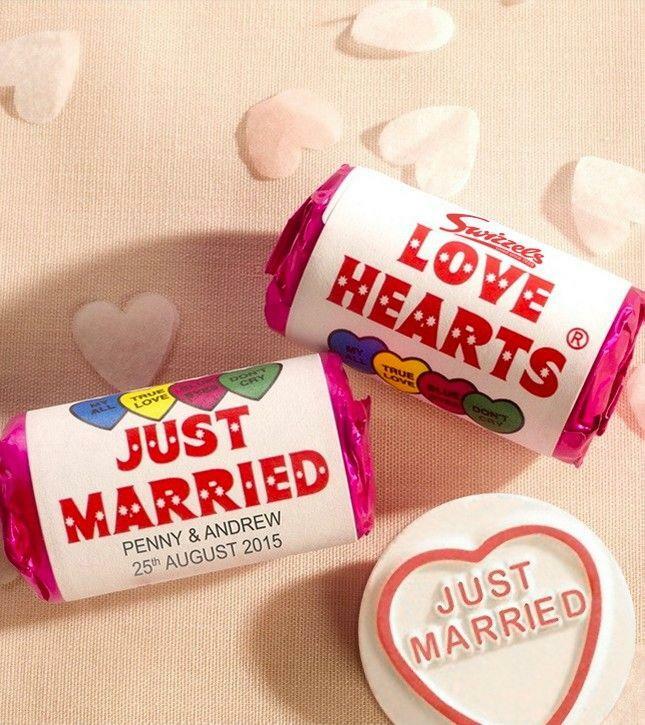 The well known British confectioner Swizzels Matlow, best known for their iconic Parma Violets, Drumstick Lollies and Love Hearts, also now offer white Wedding Love Hearts which read ‘just married’. They can also be personalised with your names and wedding date! They make wonderfully nostalgic little wedding favours for your guests and can come packaged in their own little box that reads ‘just married'. For more information visit our website.